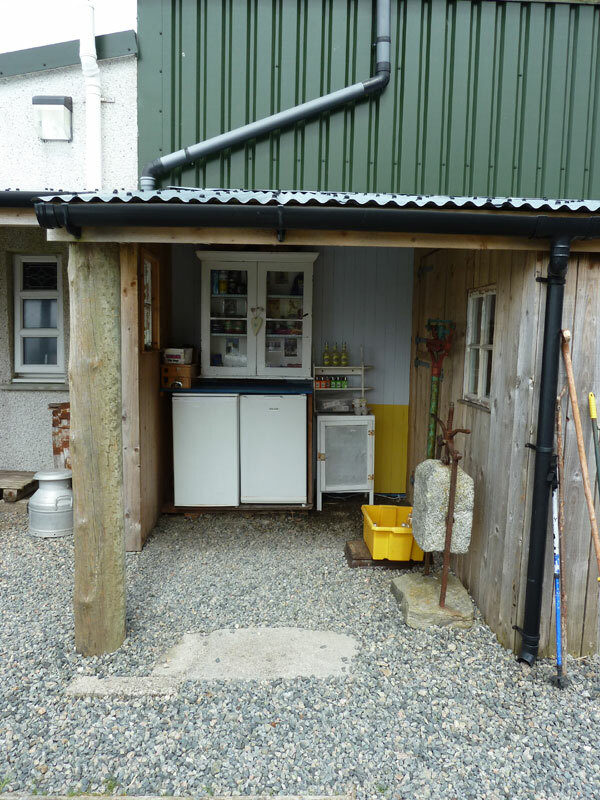 Blue Pig Bothy | Isle of Lewis Blue Pig Studio Gallery, Upper Carloway. 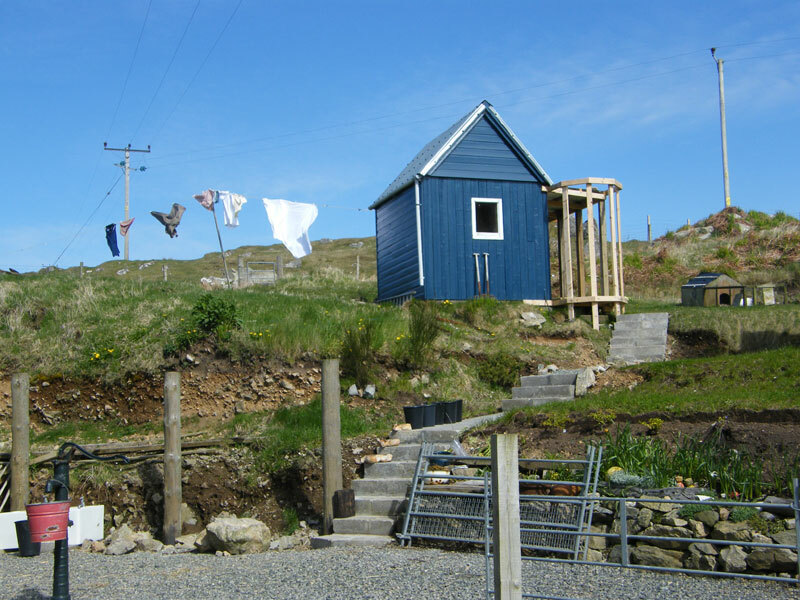 Isle of Lewis. 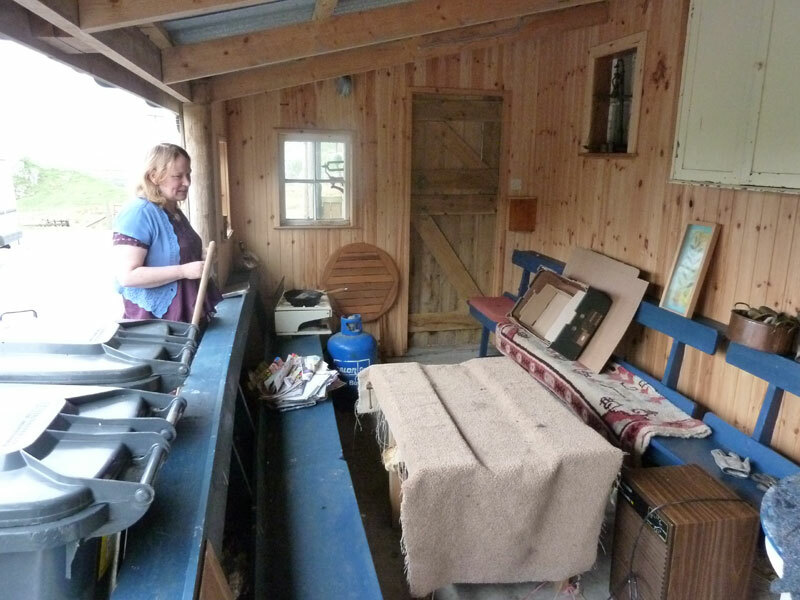 HS2 9AG. 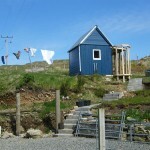 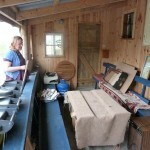 At the back of Blue Pig Studio close to the Gaerranan Blackhouse village is a unique arrangement for self catering. 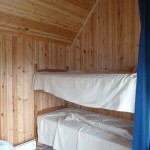 Suitable for cyclists, surfers, bikers or others looking for clean but inexpensive accommodation with a social element. 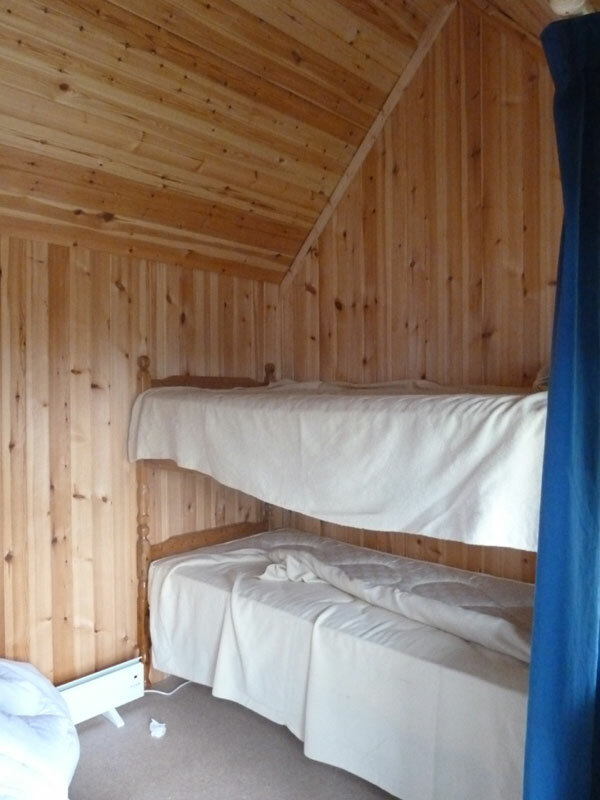 Sleeping is in bunks ( 2 persons) within the blue chalet shown to the right.Cooking is in a covered area by the side of the gallery. 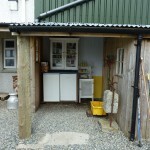 Basic food supplies available.